Note that many of the third party lenses are the same for Nikon and Canon, so be sure to look in the Nikon Lens Database for Sigma, Tamron, Tokina, et.al. 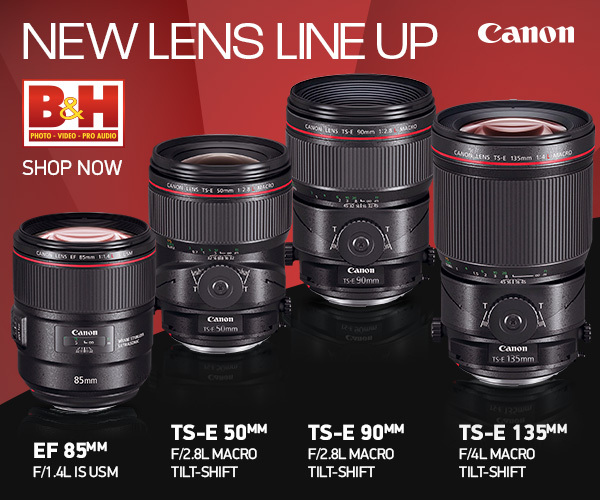 This section of the Web site lists recent Canon lenses for Canon DSLRs (lenses announced August 2016 and later). Over time I hope to build it into the same level of database as the Nikon database and backfill the older lenses that are still available.